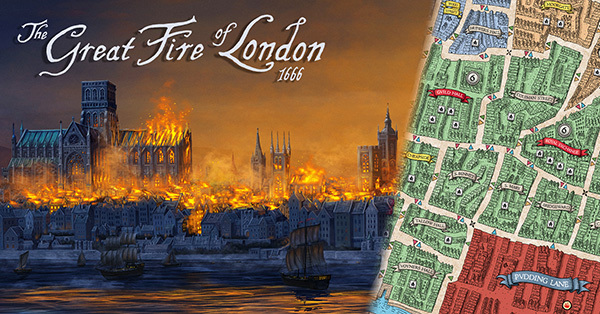 Will you save London or Watch it Burn? This 3rd edition is an updated version which builds on improvements made to components in the previous editions. 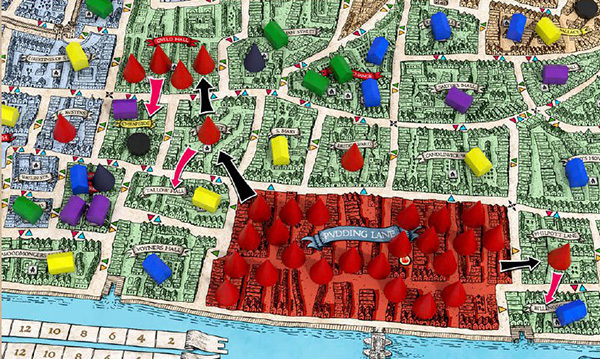 The game will be published at Essen Spiel in October 2017. RRP 39.99. Pre order now for savings. Price £30 inc P&P in the UK. Collect at Essen Price £28. Other options available. 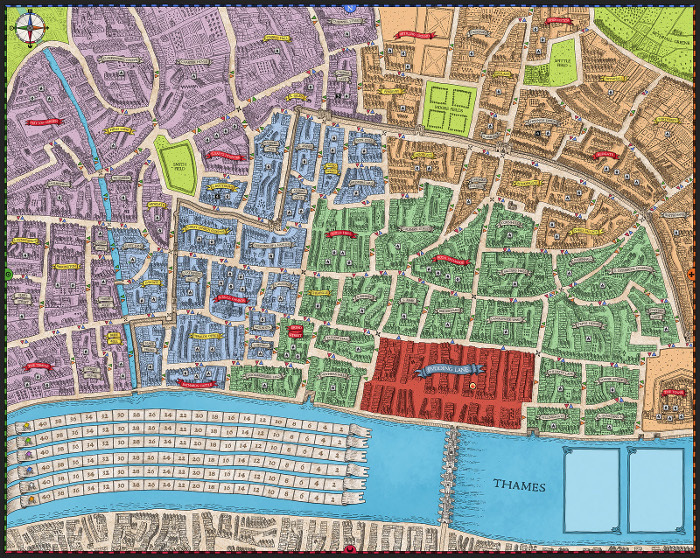 The game board is a map of London at the time of the Great Fire. How much can you save? Or will you watch it burn?